All lanes of SH-225 at Beltway 8 have reopened after downed power lines closed the freeway in both directions for hours earlier. A disabled 18-wheeler was blocking the road inbound approaching Beltway 8, but has now cleared. 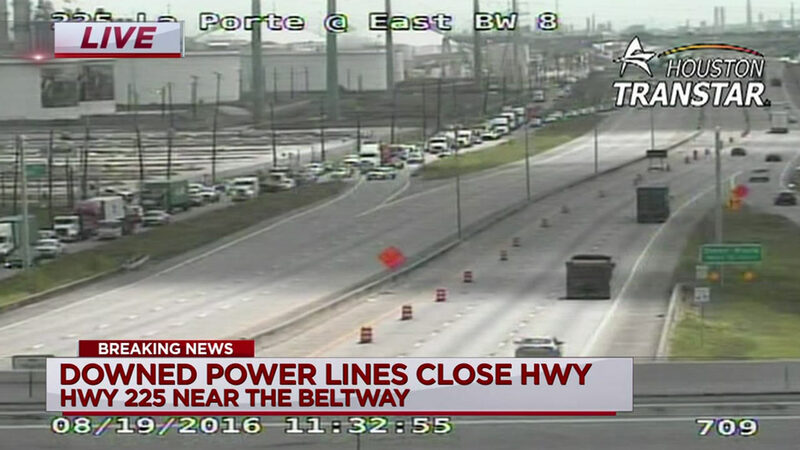 SH 225 in both directions at Beltway 8 is closed in both directions due to downed power lines. No estimated time when road will reopen. +++TRAFFIC ALERT+++ SH225 Eastbound at Preston Ave. and Westbound at Bearle St. will be shut down until further notice. TxDOT says the closure was forced by an over-sized 18-wheeler that struck the power lines.